It’s always good form to keep your bowl in tip-top shape, and that requires some maintenance. There are a number of different ways that you can clean your bowl, so which are the best devices to effectively clean? 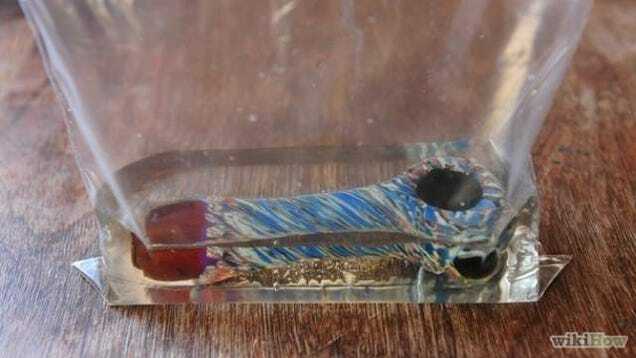 We understand that some stoners out there like to keep their bowls in tip-top shape, and that requires some maintenance. There are a number of different ways that you can clean your bowl, so which are the best devices to effectively clean? The trick is something hard and sharp to be able to scrape off all the caked material that is stuck on the inside of your bowl. Depending on what kind of a pipe you’re using, you might want to even leave on some of the char that has accumulated. This is true of wooden pipes, but if it is glass, metal or ceramic, you can scrape away. Just be sure not to break the glass! The good news is that if you’re unorganized or spent all of your money on weed, then there are some household items you can find lying around that work just fine. A lot of smokers use their lighters (or even a match) to scrape off the caked material in their bongs. For the ladies out there, a bobby pin is also a very effective way to clean your bowl, and there’s probably a whole bunch in your handbag. Paper clips, a lock pick, a key or a pocket knife work extremely well, also! If you consider yourself somewhat of a marijuana connoisseur, then perhaps you like to collect all of the professional tools that come with smoking paraphernalia. Well, pokey things are actually available for sale. There is also such a thing as a pipe cleaner, which can be purchased from just about any head shop. These devices are made specifically for cleaning pipes, so you can be sure they won’t scratch or damage your pipe. For the fancier stoners out there, these are good ways to keep your bowl clean! To poke or not to poke? Some people don’t like to scrape out the caked on marijuana resin that gets stuck to their pipes, so they don’t need pokey things at all. For those of you that prefer not to poke, there are also ways for you to keep your bowl clean. For example, you can wash and rinse it with ISO alcohol, epsom or sea salt or water. Using alcohol in your pipe helps to dissolve the gunk that is stuck in your bowl, while the salts cause abrasion and agitation. In fact, this is probably the most effective way to keep your bowl clean. For the best clean, you should really poke and scrape and then rinse with alcohol, and it will make your bowl look like brand new. 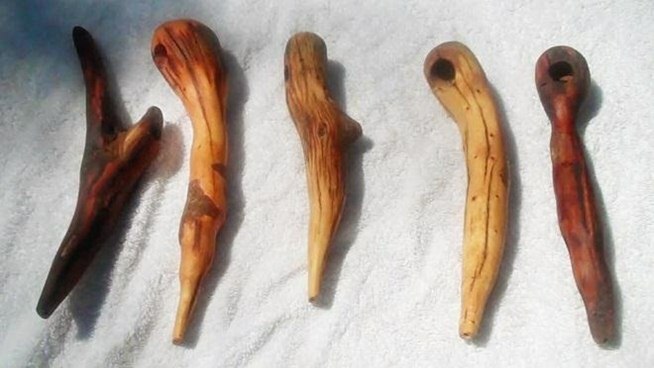 Remember that if you are using a wooden pipe, not to use alcohols as it is absorbed by the wood and inhaling toxic alcoholic fumes is definitely unpleasant! Also avoid removing all of the char that is left in the bowl because you threaten burning the wood away over time. The char keeps a protective layer in the bowl to prevent this from happening. Also, be as careful as you can scratch the wood while cleaning it, as this also wears the pipe away over time! If you have any great bowl cleaning tips to share, let us know in the comments below or on social media!